IPM or Integrated pest management is not new to the field of landscape and gardening. In fact, this method has been introduced many years ago and is popular because of how safe these methods are when it comes to ensuring safe ways or practices within the landscape and gardens. The use of long-term strategies and practices that focus in a safe manner to control and eliminate pest through methods such as mechanical, biological control, proper cultural practice and the use of resistant plants. Integrated pest management is vast therefore we will be looking only at some of the basic to show how these methods relate to landscape and gardening and how we can use them to our advantage. Many years ago when I first heard of these methods and how they worked to control insect and disease within the landscape and gardens, I was very fascinated and wanted to learn as much as I could on how to use these methods to keep insects at a level where they would not cause injury to plant life and also to minimize plant diseases. pesticides must be used, even then the less toxic is used first before moving on to the more toxic ones. Also, great safety measures and precautions are taken when using more toxic chemicals so as not too contaminated the air and water table. Beneficial insects are protected when using IPM because pesticides, especially overuse of these chemicals can cause great harm even killing the good bugs. 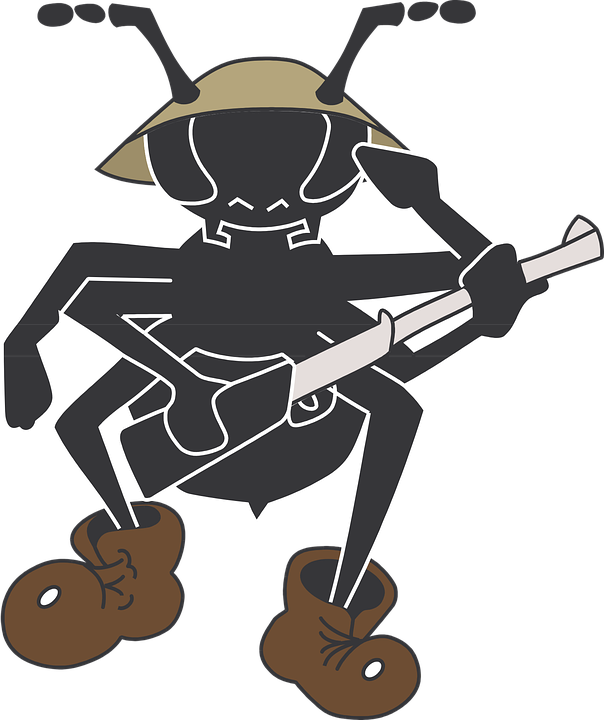 The responsibility of the good bug is to eliminate the bad bugs or bugs that do much damage to plant life. 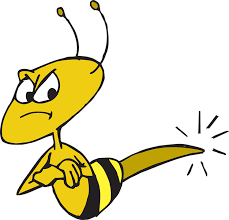 To learn more about good bugs and bad bugs follow this link. These are just a few of the many bugs that you may find in your garden and landscape areas. when plants are stressed they become weak, when this happens insects will take over. Some plants love full sunlight, some partial light and then there are others that prefer the shade. If we place for example a plant that loves full sunlight in a shaded area that plant will become stress and the host insect will attack that plant. Therefore before placing or planting any plant, first know its light requirements. water requirements and water incorrectly you will not only be causing many injuries to your plant, but insects and disease will take over. So know your plant’s water requirements. Also when watering plants remember to water at ground level because plants that have constant wet leaves are susceptible to disease. but you may have to use fungicides because the disease may have spread to a point where applying fungicides is the only solution. So before it gets to this point inspect your landscape on a weekly basis and at the first sign of insects or disease, you can deal with it in a safe manner before taking more drastic measures. Handpicking is another method of mechanical control, some pest such as caterpillars, snails and slugs can be handpicked and place in a bucket containing water and dish liquid. This will not only get rid of them but you would have avoided using pesticides. 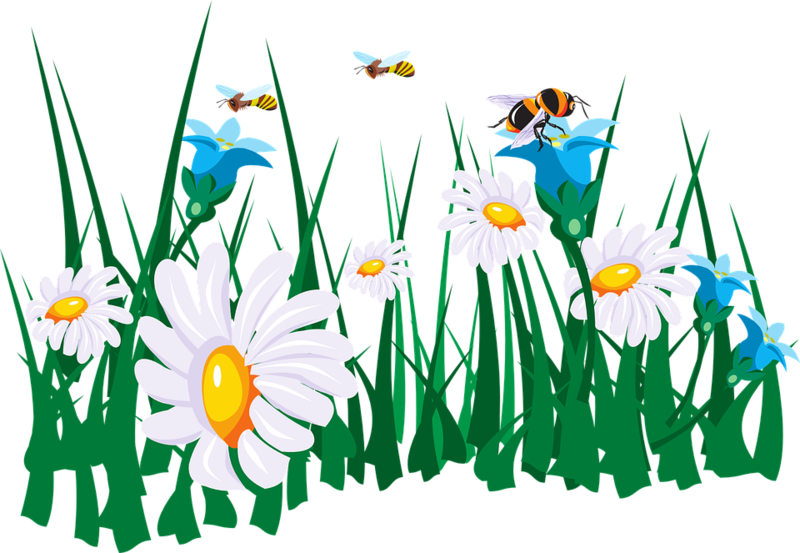 but if you what to increase the good bugs population within your landscapes and gardens you can purchase them from your plant nursery or garden centre and release them in your garden, this is a safe way to eliminate the bad bugs. 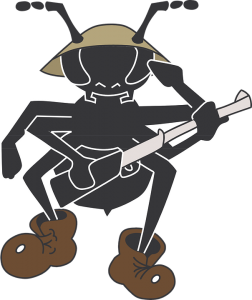 Don’t wait until the bad bug population is so high, because at this point the good bugs will not be able to eliminate the bad bugs as fast, so the sooner you can give the good bugs a home in your garden the better. Again here is a list of both good bugs and bad bugs that you may find in your garden. by the time the larva reaches maturity, it emerges from the bodies of the bad bugs, at this point, the bad bugs are dead or eliminated and the cycle continues, isn’t that just cool not to mention a safe way to deal with garden pest problems. Planting resistant plants is another method to discourage the use of chemicals within the landscapes and garden. So if the disease comes back continually, if possible replace those plants with varieties that are resistant to plant disease, this will eliminate the use of chemicals. When it comes to IPM, scouting or plant inspection is a must, walk your landscape and garden areas at least two or three times a week if you can and look for signs that may tell you something is going on with your plants. Whatever you find record it. Make sure and have a notepad, pen or pencil and record your findings. 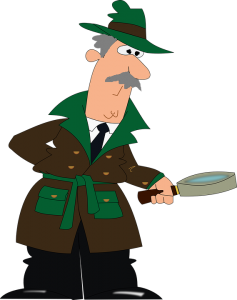 Also, it would be good to carry along a magnifying glass for better observation, smartphones are great and you can also take pictures if you prefer, so you are now the detective of your landscape and garden. your local extension service for more help in identifying and bringing about resolutions. You can also do online research that will be of great help to you, there are many tools that you can find which will help you. I know this article is somewhat lengthy, there is more that can be said on this topic. This is just to give an idea of what IMP is all about, this is truly a safe approach to gardening and landscape maintenance, so give it a try, I am sure you will be pleased with your results. Wow I like your site. There is so much to learn, and the best part is that the whole idea is to do it all done naturally. It used to be like that not long ago, we in the western society have forgotten how to interact with nature and benefit from it in a sustainable way. Hello Manuel it is good to meet you and thanks for those kind words, the knowledge to work along with nature is not lost it is still here, Thanks for commenting all the best to you and have a good day. This is a very informative page and I learnt a lot from here. Thanks! The method shared is nature friendly,although it might require a little bit works,if compared with using the pesticide.I will still prefer this method as pesticide is bad for human health as well. Getting a good bug to control the bad bug is new to me.I am eager to find out more.Just a question popped out from my mind.Any chance that a good bug for certain plant will turn into a bad bug for some other plant? Hello lllusiozTan it is good to hear from you, IPM is a great and safe way to do gardening. As far as I know with my 22 years in this field once a good bug always a good bug. Thanks again for commenting, all the best to you and have a good day. I know people who have very few issues with modern pest control methods and they can get any amount of sprays and treatments for their plants in the local hardware or garden centre. However, I know a lot more people who are very concerned about this issue and will only use chemical pest control as an absolute, very last resort. Personally, I prefer the natural methods you are promoting and if the plants are vegetables for the table well, then it’s even more important. Some of the better garden centres will give fantastic advice and help to anybody sticking with natural plant / pest control measures. Hello Michael it is so good to meet you, yes using these methods are so safe and awesome. Thanks for commenting, all the best to you and have a good evening. Great information on pest management. I hate bugs so this past summer I hired a pest control company to keep the bugs out. Here in Texas we get a lot. Especially roaches. With a pool I also see a lot of hornets and wasps. I did not see hardly any this summer with the company. So you are saying I can effectively do the same thing with the right plants? Hello my friend It is so good to hear from you again and thanks for sharing, IPM is awesome and this is a safe a way when it comes to landscape and gardening. And by using the right plants in the right location along with the right practice your pest problem will be kept at a level where you won’t need to use pesticides. Thanks again and have a good day. haha this is really going to blow your mind, just as it blew mine, I thought the site was talking about the garden of Eden, the Biblical Eden, i guess i get blown away so easily. Anyway i have taken some time to look at the content and its pretty amazing, U really do serious research about this stuff i envy your passion, thanks. LOL, hello Mugabi man that is really funny. I choose the name garden of Eden because it is a Biblical name that is popular and gardening was first started in the bible by God as he told Adam to take care of the garden. Thanks for those kind words as I have a passion for what I do. All the best to you and have a good day. Great topic! I have always been an avid landscaper for my own yard. I have hundreds of plants, flowers, etc but I also have three dogs that I worry about when it comes to chemicals. I appreciate this approach and the information on how I can do this safely without the concern and risk of harming three very curious friends. Hello Robert it is so good to meet you and thanks for commenting, Intergrated pest management is a cool and safe way to keep your garden in tip top shape. Glad that I could help, all the best to you and have a good day. This is quite thorough. Earlier this year, I helped grow Kale, Radishes,and Spinach and there were so many white aphids eating our plants. My team and I created a natural pesticide to fight them off, but at first we had actually considered buying ladybugs to eat the aphids. I also believe the location of a garden is very important – are there any specific places you would recommend? I know you said that it depends on lighting, but what about the winter and fall time, when it is cloudy frequently? Hello Alex so good to see you again and I am sorry to hear about how your garden was attacked by bugs. The key is first deciding what you are going to plant this should give you and idea of location, as i had discuss in this post different plants requires different lighting conditions to survive. So then your choice of plant would be base on the location. If you have shaded areas where you would like to plant then visit you plant nursery and look for plants that grows well in shaded areas, by meeting the plants requirements in this way you will be helping the plant, because it is a shade loving plant, the same is with partial light and full sunlight plant. You can prepare your plants for the fall and winter seasons by keeping them as healthy as possible and when next spring comes around they will green up and bloom once again. Hope those helps, all the best to you and have a good day. This post was extremely informative. I just started my own vegetable square foot gardening last year and was trying to implement non chemical forms of pest control. I simply planted specific flowers around the edges to attract good bugs to keep the bad ones at bay. It worked pretty well until later in the season. I really liked the plastic wrap idea that you shared. Your site looks like it has a ton of useful information that needs to be explored. Keep up the great work!! Thank you! Hello Eris it is a pleasure to meet you, thanks for those kind words. I am sorry to hear about your garden. But I know that you will be back in good swing, I hope that you can find what you are looking for on my website. Thanks again for sharing, all the best to you and have a good day.